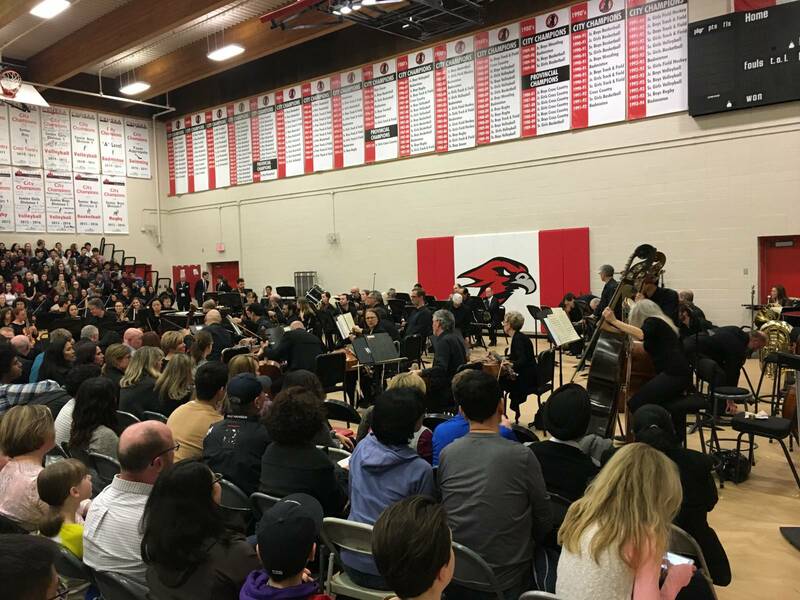 On Thursday, March 16, we partnered with Western Canada High School to bring our Orchestra to their school for a fundraising concert to ensure the continuation of the artist residency program. 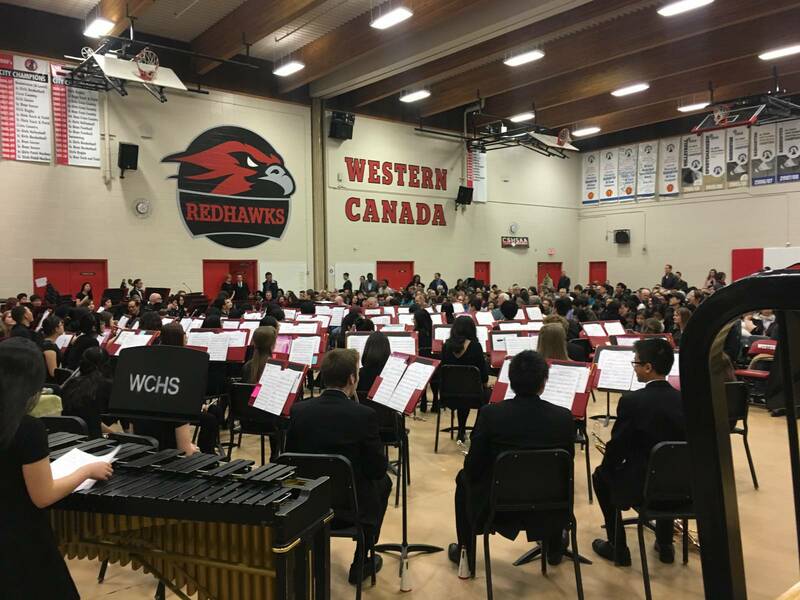 For the past number of years, we have had the pleasure of working with Western Canada High School Music students as part of our artist residency program. 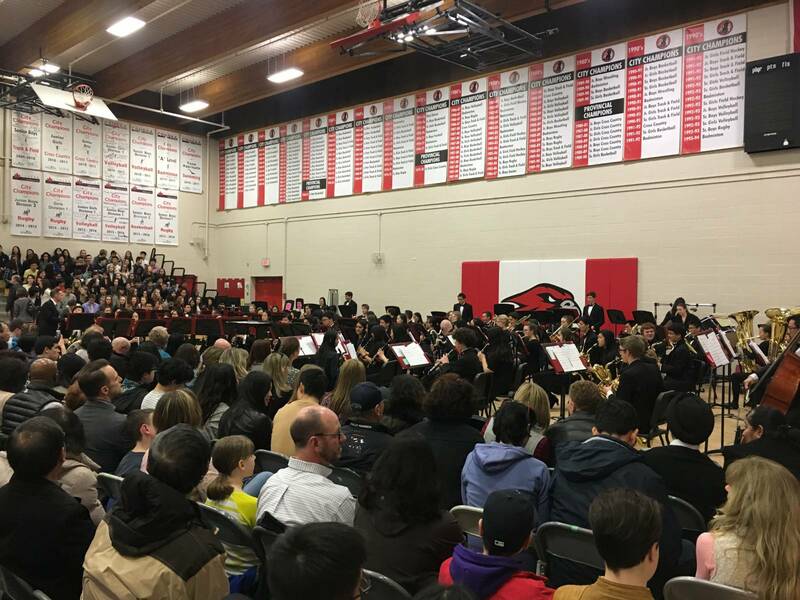 With the support of their music specialist, Brendan Hagen, the Calgary Board of Education, and, over the years, the Alberta Foundation for the Arts, we have been able to create an innovative program for this school. 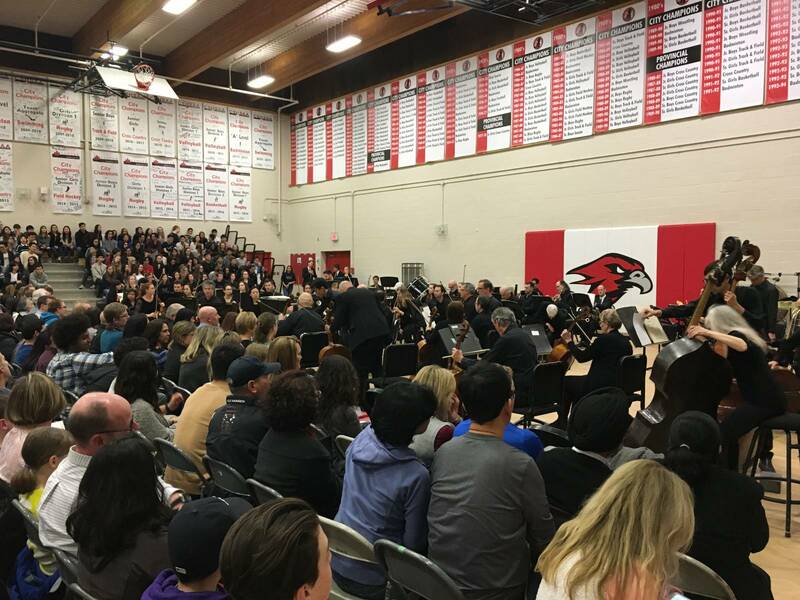 Students benefit from working one-on-one with more than 50 Calgary Philharmonic musicians and conductors on multiple occasions in clinics, workshops and master classes during the academic year. 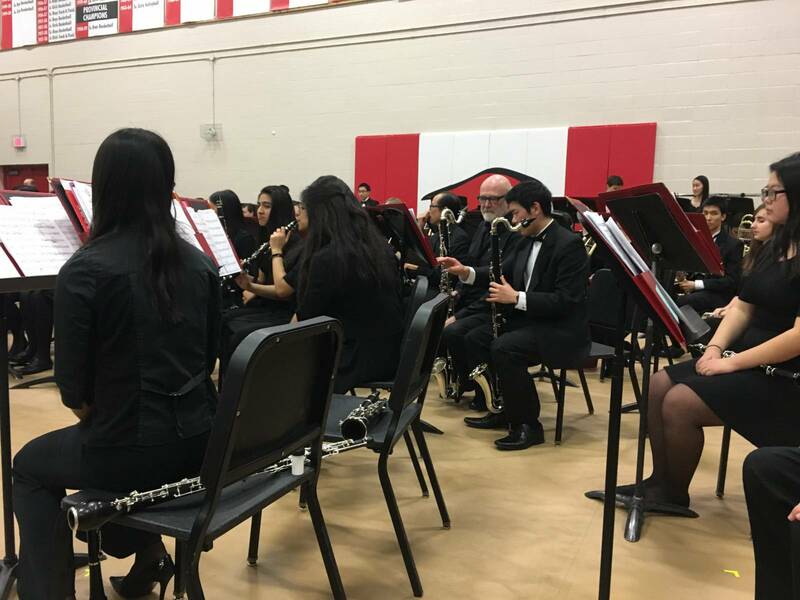 In addition to having the opportunity to hone one’s skill on a particular instrument, the partnership has enabled students to gain further insight into the life of a professional musician and the positive outcomes of hard work and determination. 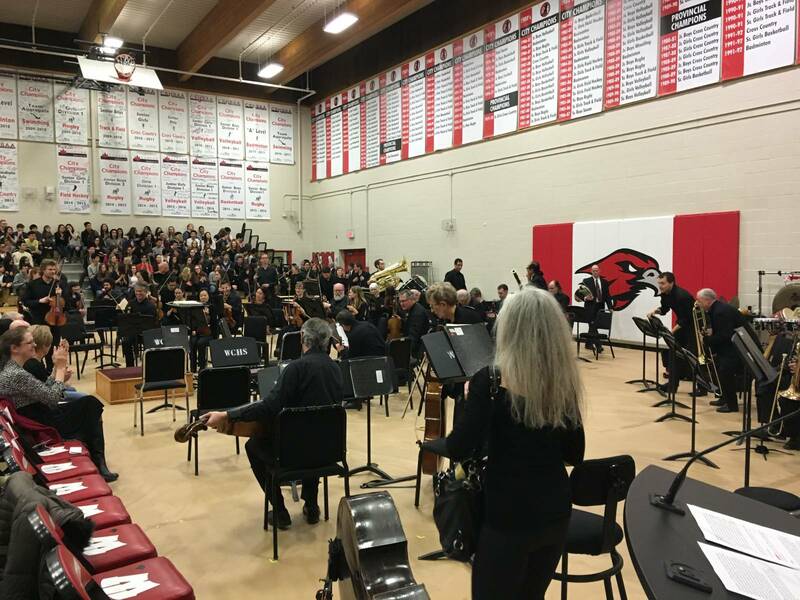 On Thursday, March 16, we partnered with WCHS once again to bring our Orchestra to their school for a fundraising concert to ensure the continuation of the artist residency program. 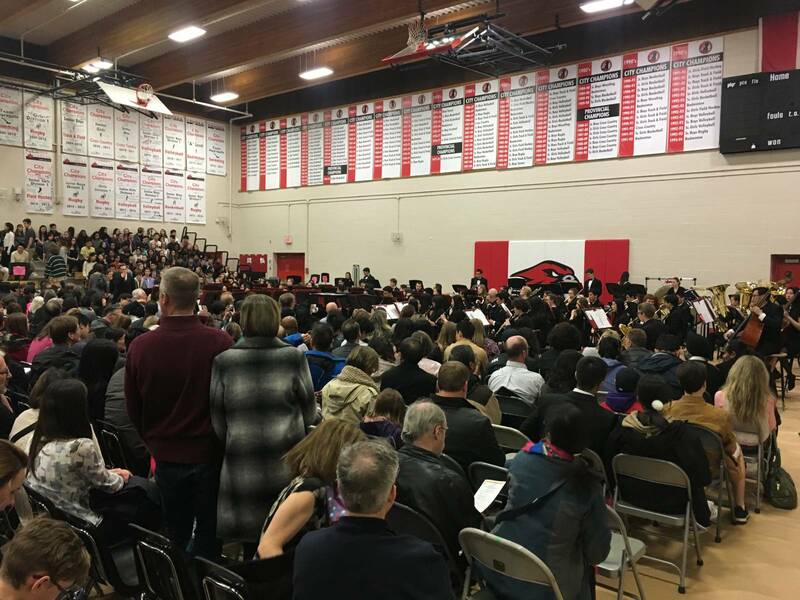 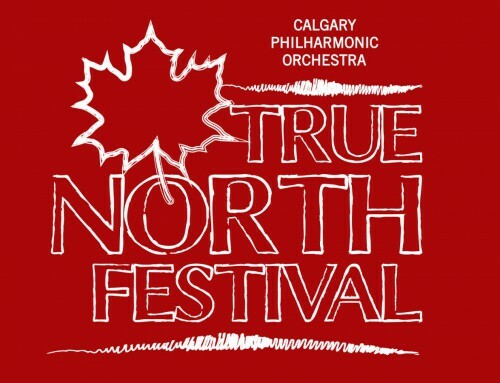 This sold out show began with the WCHS Grade 12 Wind Ensemble, led by Music Specialist Brendan Hagan, followed by the Calgary Philharmonic Orchestra led by Resident Conductor Karl Hirzer. 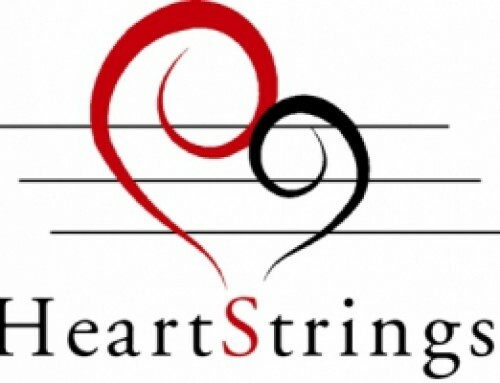 We are very proud of this partnership and its successes and look forward to many more years of making music together.